Cat UTI Home Remedies- You CAN Help Your Cat! You don’t know how much you love the sight of urine-dampened kitty litter until your cat has FLUTD. I remember when my cat had his first brush with urinary tract disease several years ago. It happened unexpectedly – in the early hours of the day, he was his happy two-year-old self. Later that morning, I noticed him straining in the litter box. This first sign pointed to hours of anxiety, worry, mewing, more straining, and a painfully dry litter box. If you’re reading this, you’re probably going through the same thing. First of all, allow yourself to take a deep breath. Let’s think about what is happening to your cat. The name of this article refers to urinary tract infection home remedies – but urinary tract infections are not the only type of health problem this article is about. A lot of people call their cat’s urinary troubles “a urinary tract infection” without realizing that urinary tract infections are one of the least common root causes of this type of condition. Feline lower urinary tract disease is a blanket term covering a number of different problems affecting the bladder and urethra. It’s difficult, if not impossible, to accurately diagnose your cat’s disease at home. Veterinarians also find it hard to identify the cause of FLUTD . The most common diagnosis is FIC (feline idiopathic cystitis), which just means that your cat’s bladder is inflamed for an unknown reason. This diagnosis rules out bacterial infection and anatomic abnormalities. 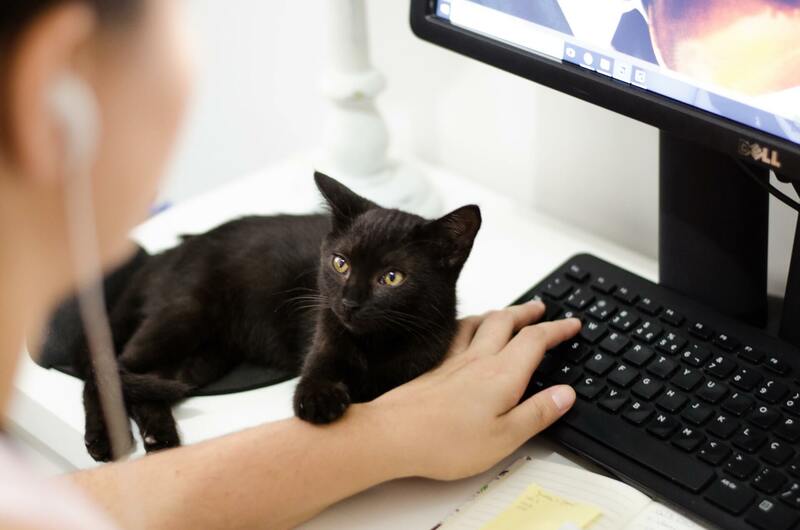 If your cat has been diagnosed with FIC (they can still pass urine, are not in extreme pain, and have a small bladder), gentle home care and stress management can help them to feel better soon. Actual bacterial urinary tract infection is relatively uncommon. Bacterial infection makes up only about 1-8% of feline lower urinary tract disease diagnoses. This infection is diagnosed through urinalysis and can be treated through antibiotics or natural antibiotic alternatives. Urinary crystals or stones are another cause of difficult, painful urination. Urolithiasis represents about 15% of all non-obstructive cases of FLUTD. The most common types of crystals are calcium oxalate and struvite crystals. Without an X-ray or ultrasound, you can’t identify the presence of these stones. If your veterinarian determines that your cat has calcium oxalate or struvite crystals, the typical treatment would be dissolution or removal of the uroliths. Your cat’s urine pH plays a part in the development of these crystals: a low pH is associated with calcium oxalate crystals, while a higher pH can cause struvite crystals. While struvite crystals used to be much more common than calcium oxalate crystals, they’re currently about equally common. Why has this changed? It’s the fault of well-intentioned urinary tract health foods. Struvite crystals can be treated by a slightly acidic diet. This treatment has over-acidified our cats, increasing the prevalence of calcium oxalate crystals. Without access to advanced testing, it’s impossible to know which type your cat has, making treatment tricky. If you know which type of crystals your cat has, the best home remedy is one that helps to correct the urinary pH, dissolving the crystals. It’s important to keep your cat well-hydrated, encouraging urine and crystal passage. Blockage is a medical emergency. The urethra is blocked. The cat is either passing a few drops or no urine at all. To a trained hand, the painfully full bladder will transform from a small, slippery balloon into a hard baseball. The waste products that ne ed to get out of your cat’s body through urination don’t leave the body whatsoever. Instead, they begin to leach into other parts of the body, leading to lethargy, vomiting, and, sadly, eventual death. This condition is most common among male cats, who have a longer and more “pluggable” urethra. The plug comes in a variety of forms: tumors, bladder stones, or a mix of mucous and protein called “matrix”. Urethral obstruction is an excruciatingly painful nightmare and demands immediate treatment. Death usually occurs within 48 hours of total blockage. 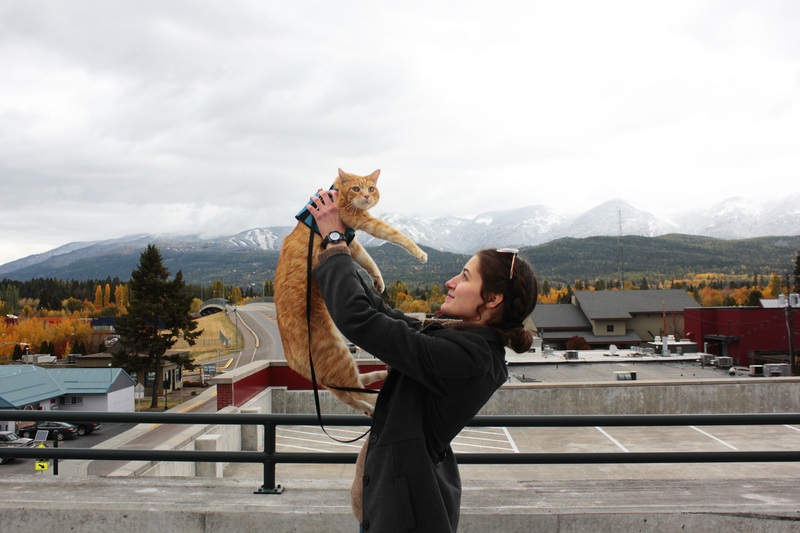 A veterinarian can anesthetize the blocked cat and use a catheter to get the urine flowing. In some cases, gentle pressure on the bladder can help to pass the plug. Although this is an article about home remedies, I would be morally remiss if I told you that any number of home remedies were adequate treatment for this very serious condition. 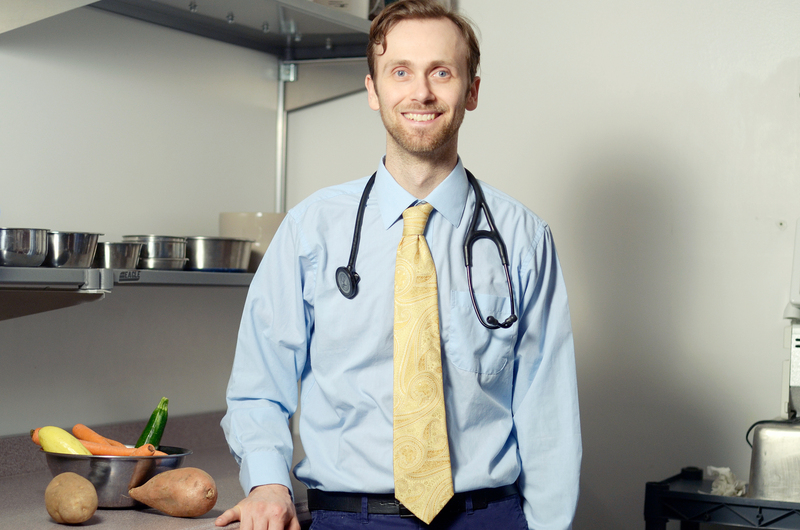 As much as I wish I could tell you that there was a simple home remedy for urethral obstruction, many hours of research make the answer clear. Getting your cat to a vet where a catheter can help to clear the obstruction is currently your best bet. It’s not a guarantee that your cat will be okay, but it’s the most effective treatment we have right now. There are ways to help your cat. Having gone through the agony of knowing that my cat was struggling to urinate, I know that you don’t want to sit on your hands (nor should you!) when your cat is in pain. Home remedies aren’t always the cure, but they absolutely can help. The following are remedies and treatments that can help to manage the pain and encourage healthy urinary tract function. They’re backed up by other real people who have used them to treat their cats’ urinary tract infections or other urinary tract disease. After we go over some gentle home remedies for your struggling kitty, check out the tips for urinary tract disease prevention. Recurrence is common and it’s important to take the right steps to make sure that your cat stays healthy after they recover. While home remedies and even veterinary treatments can be hit-or-miss, prevention isn’t quite as complicated. The theory is that in the case of a true bacterial infection, the acidity of ACV may be able to create an unfriendly environment for that bacteria. This is a fair theory. Many of u s have used vinegar as a mild disinfectant and know that it can be used as an antibacterial cleaner. It makes sense that theoretically, ingesting mildly acidic vinegar could help to kill bacteria in the urinary tract. What’s more, raw apple cider vinegar is a prebiotic – it encourages healthy bacteria production, which could encourage good bacteria to overtake the bad bacteria that’s created the infection. And on the same note, alkaline struvite crystals can also be theoretically eliminated by feeding your cat doses of apple cider vinegar. We’re balancing out the alkalinity of the urinary tract. 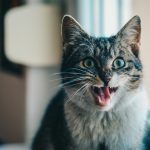 It’s important to recognize, though, that without taking your cat to a veterinarian, it’s virtually impossible to know what is causing your cat’s urinary tract issues. How can you use apple cider vinegar as a cat UTI home remedy? When your cat is suffering from a urinary tract disease, we suggest that you give your cat 1-3 teaspoons of apple cider vinegar with 1/4 cup water. Administer a teaspoon or so every hour. To do this, you can incorporate the apple cider vinegar into your cat’s food. If that doesn’t work, you may also use a syringe. Your cat might not like the taste, but it is completely safe for them to eat. Most successful users of apple cider vinegar for cats notice a difference in urinary tract health within the next day. Getting plenty of moisture is key to recovering from a urinary tract disease. To encourage your cat to consume fluids, switch to a high-moisture diet immediately. Raw is ideal, but canned diets also offer adequate hydration. In addition to this high-moisture foundation, bone broth is at once appetizing, packed with beneficial nutrients, and hydrating. It contains glucosamine and chondroitin to fight inflammation and protect the bladder’s lining along with anti-inflammatory amino acids that can make your cat feel better. 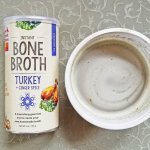 How do you use bone broth as a cat UTI home remedy? You can either make your own bone broth or purchase it for your cat. It’s important to choose a broth that’s made without any garlic or onions, which are toxic to cats. 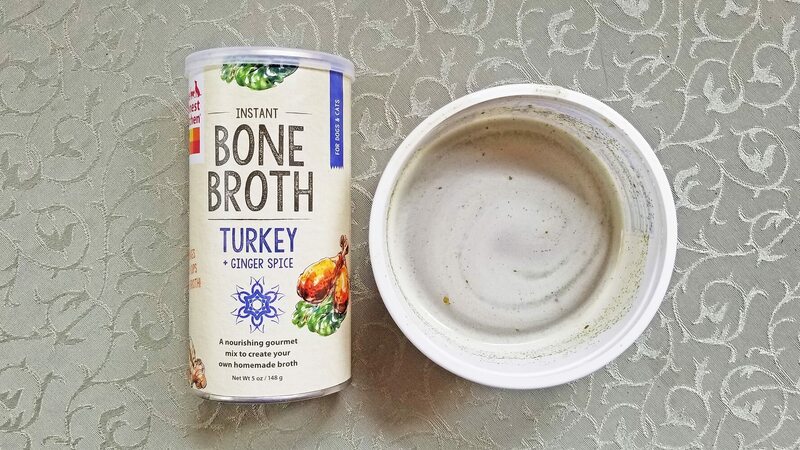 Pour warm bone broth over your cat’s food or serve it alone. This is a non-metabolizable sugar that passes right through your cat’s system without causing blood sugar spikes or affecting the bacterial balance of the body. 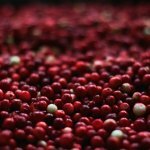 It’s found naturally in cranberries – this is what makes cranberry juice a popular home remedy for humans with UTI’s. The sugar has anti-microbial properties, making it ideal for cats with bacterial infections. It was originally used in the dairy cow industry to naturally treat lactating cows with urinary tract infections. Because antibiotics would taint the milk produced by these cows, non-toxic D-Mannose makes a great natural alternative. It’s evolved into a popular treatment for humans with UTI’s and is gaining recognition as a remedy for feline urinary tract disease. Here’s how to use D-Mannose as a cat UTI home remedy. You can use it as a preventative treatment by giving your cat D-Mannose powder for one week out of each month or administer it daily. Unfortunately, this remedy is only effective for bacterial infections. Remember: most cases of feline urinary tract disease are diagnosed as feline idiopathic cystitis, a condition with strong links to stress. Managing stress can help to prevent and treat your cat’s inflammation. This might not seem like a home remedy, but it’s one of the most effective home treatments in existence. 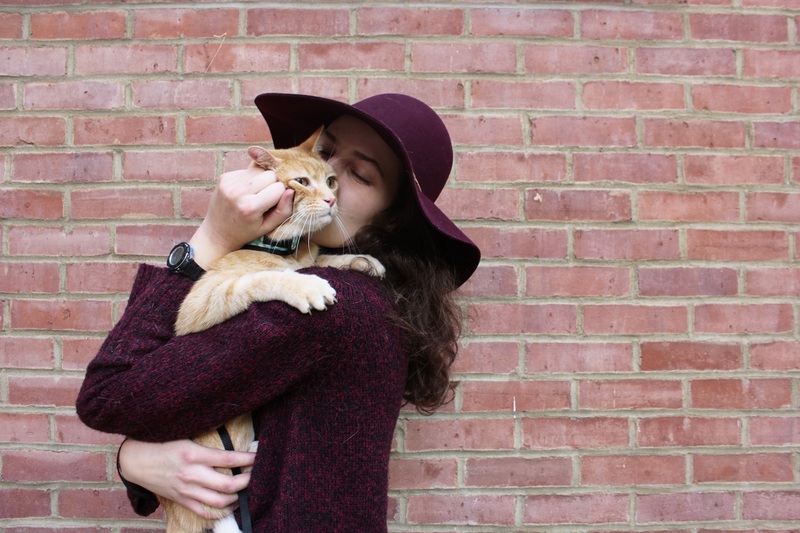 Here’s how to help reduce your cat’s stress levels. Spray Feliway (a synthetic cat pheromone) on your cat’s bedding. This product has been proven to calm cats. Keep the litter box clean and don’t move it around. Cats like consistency. Provide private spaces for your cat, including vertical territory offered by a cat tree or a cleared-out shelf space with a bed on it. Identify stressors and, if possible, eliminate them. Once your cat is doing better, it’s time to start thinking about prevention. 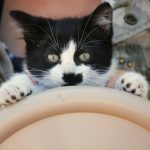 So you’ve taken good care of your cat and they’re passing urine again – no straining, no bleeding, no meowing in the litter box. Life is good again. Recurrence is a serious concern, though, and it’s important to take a few steps to ensure that your cat doesn’t get a UTI or other FLUTD again. A dry diet leads to chronic dehydration and is consistently linked to the development of urinary tract disease. Any canned, raw, or fresh homemade food is an ideal choice for your cat’s continued urinary tract health. Don’t think that you need a food that’s specially formulated for urinary health. Anything from wet Friskies to frankenprey is a great choice. 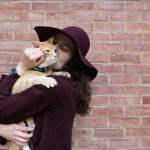 If you’re short on time and want a high-quality cat food that has all the nutritional integrity and moisture content of homemade cooked food, try NomNomNow. 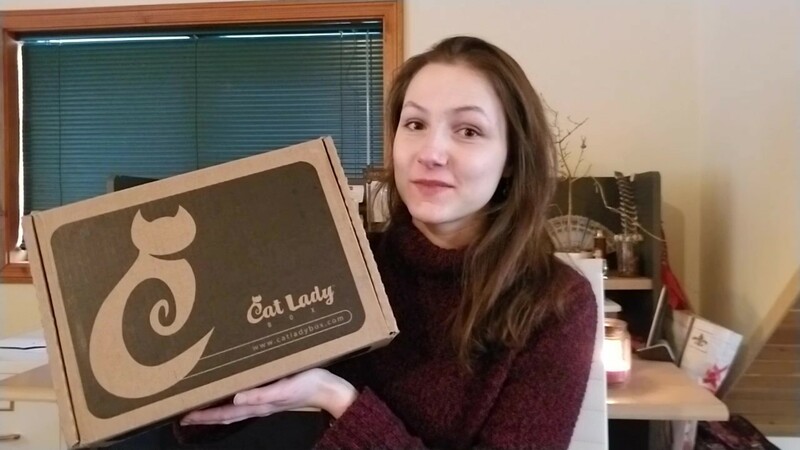 It’s delivered fresh to your door according to a regular schedule, so you’ll always have enough cat food. If you order NomNomNow through this link, we’ll receive a commission. This helps us to continue creating content like this, spreading the word about radically natural nutrition and a healthy, adventurous lifestyle. Thank you for your support! Here’s our article on the best wet cat foods for urinary health. Prevention Key 2: Invest in a water fountain. If your cat refuses to drink from their water bowl, they’re only trusting their natural instincts. In addition to providing more water through their food, you can hack those instincts by making their water more appealing. We recommend using a cat water fountain instead of a bowl of still water. Thanks to constant aeration, moving water in a fountain smells, looks, and usually is cleaner and fresher than water in a bowl. 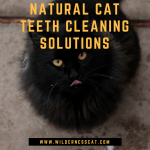 Besides appealing to your cat’s need for non-stagnant drinking water, the movement of the water flowing and bubbling taps into their naturally adventurous spirit. We recommend this cat water fountain from Miaustore. With 8 different drinking areas, including 4 easy-flowing bodies of water, 3 mini waterfalls, and a bubbling spring, the fountain appeals to various feline personalities and drinking preferences. The European-made fountain is built from ceramic, which is more hygienic than plastic, and it’s dishwasher-safe for easy cleaning. ← What Does Cat Food Taste Like?